Toronto has many leading cultural attractions including the CN Tower, which at 553 metres was the world’s tallest structure until 2007. Tourists are able to enjoy unparalleled views across the city and if heights aren’t for you, you can visit the city museums and sample city culture through the marvellous galleries and theatres. Diversity is what best describes the city as there are communities from China, Thailand, Korea, France and Italy that come together to make Toronto an unforgettable experience. Not far out of the city itself is the ever-impressive Niagara Falls that makes up part of the Canadian/US border. The blend of excitement, culture and history is too much to ignore and all three factors combine to make Toronto a splendid choice for a holidaying destination. Imagine taking in the sight of the world’s most famous waterfall, witnessing the marvellous rainbows that form out of the mist thrown up by the water crashing into the lake below. 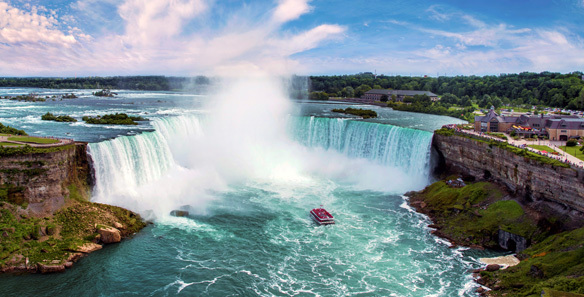 You could have the chance with a trip to the Niagara Falls aboard the world-famous Maid of the Mist. Also, visit one of the world’s most cosmopolitan cities in Toronto whereby the fascinating blend of cultures ensure that a visit to Canada’s capital makes it an once-in-a-lifetime trip. The iconic CN tower provides a splendid view across the city as well as across Lake Ontario into neighbouring USA. Toronto also has plenty of things to do and see such as world-class museums, galleries and theatres that make the city a welcoming destination. A simply stunning city location as well as a iconic landmark on the continent provides an excellent choice for a holiday and ensure you will not be far away from something truly remarkable. 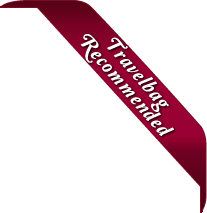 If you would like to know more about Travelbag’s excellent tailor-made holidays to Toronto & Niagara Falls, don’t hesitate to contact us on 0203 139 7074.